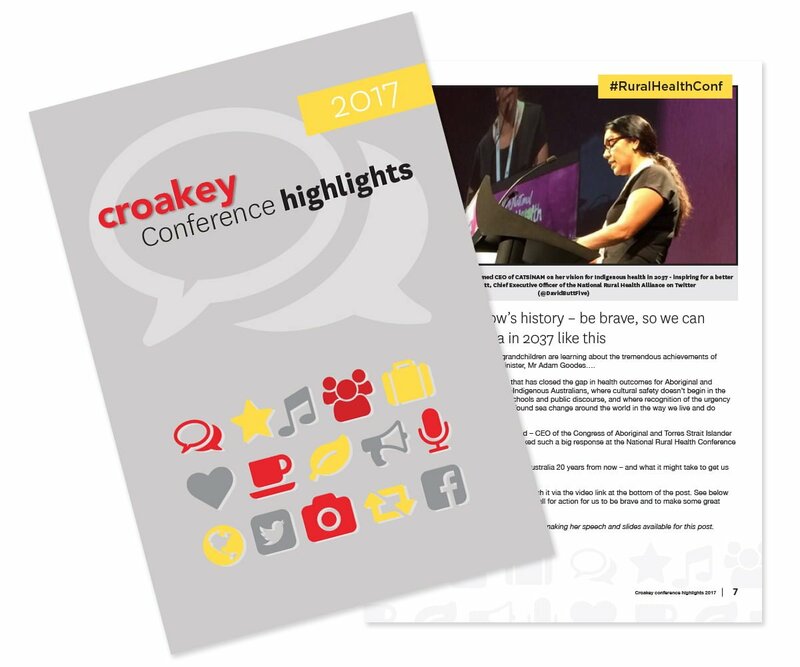 Home Croakey news and projects @WePublicHealth What do health leaders say about Gurrumul Yunupingu’s case and wider concerns? 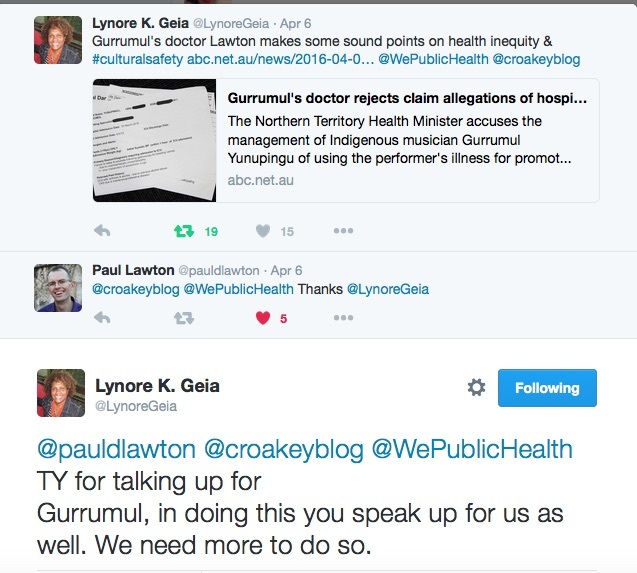 What do health leaders say about Gurrumul Yunupingu’s case and wider concerns? 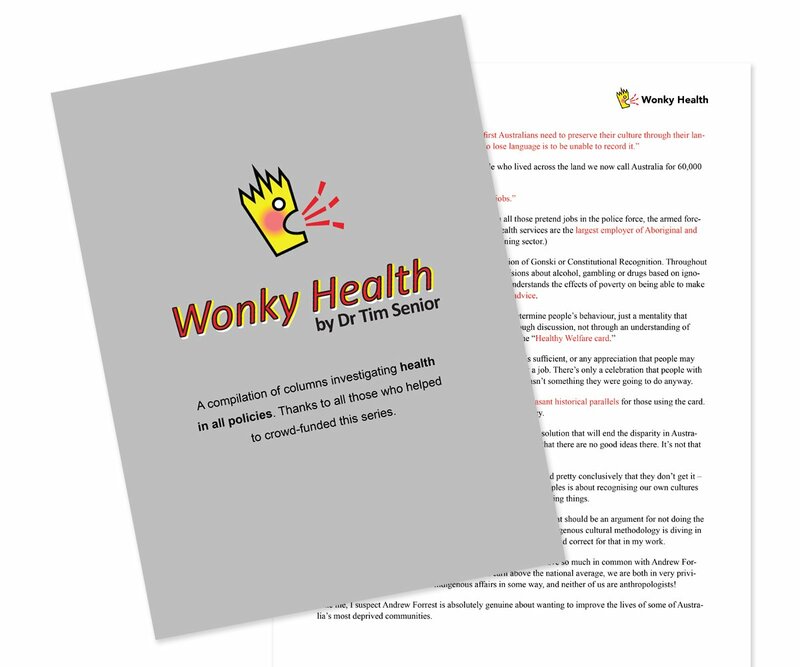 (This post was updated on April 13 and 22 with comment from the Australian Indigenous Doctors Association and the Indigenous Allied Health Australia). 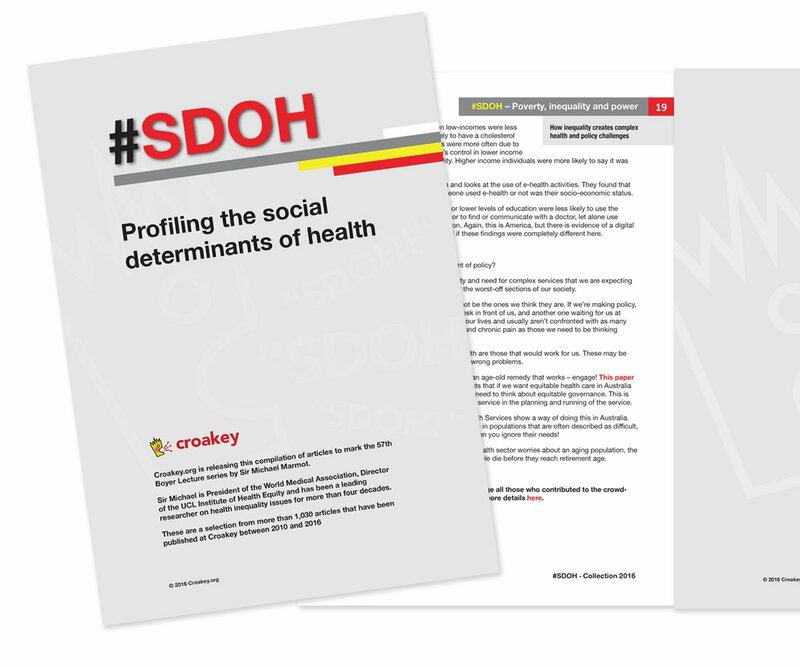 Racism is a key social determinant of health for Aboriginal and Torres Strait Islander people, affecting health and well-being in many significant ways. In particular, the experience of racism when accessing health services contributes to low levels of access to these services. These statements come from the Implementation Plan for the National Aboriginal and Torres Strait Islander Health Plan, published last year by the Federal Government. The Australian health system is free of racism and inequality and all Aboriginal and Torres Strait Islander people have access to health services that are effective, high quality, appropriate and affordable. Together with strategies to address social inequalities and determinants of health, this provides the necessary platform to realise health equality by 2031. One thing is clear in the wake of concerns about the care of Indigenous musician Gurrumul Yunupingu and the official responses to these concerns. This is a timely moment for everyone who works in or around the health sector – whether in patient care, in policy or politics, in governance, education, workforce, public health or other areas – to reflect upon what they are doing to help ensure a health system that is more culturally safe for Aboriginal and Torres Strait Islander people, whether as patients or employees. It’s clear there is so much more work to do, and that the issues extend way beyond Royal Darwin Hospital. • The Consumers Health Forum of Australia says Gurrumul’s case raises wider questions about whether Australia has “a two-class health system which in attitude and practice discriminates against Indigenous Australians”. 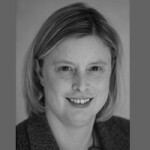 • Alison Verhoeven, CEO of the Australian Healthcare and Hospitals Association (representing health services in the public sector), says “it is incumbent on all Australians and all institutions to reflect on our practices and the impact of our attitudes, behaviours and judgements about Aboriginal Australians”. • Michael Moore, CEO of the Public Health Association of Australia, supports calls for an increase the number of Aboriginal health workers in all hospitals and health care settings across Australia, and also calls for further cultural safety training of medical staff regarding appropriate health care. • The Australian Commission on Safety and Quality in Health Care details ongoing work in revising the National Safety and Quality Health Service (NSQHS) Standards, to see how these could be used to leverage improvements for Aboriginal and Torres Strait Islander people using mainstream health services. • Michael Greco, CEO of the online patient experience feedback initiative, Patient Opinion, invites Aboriginal and Torres Strait Islander people to engage with the site “because it’s their stories that will help us understand how we can better improve our health system, particularly in how we deliver our care in a safe, kind and culturally-sensitive way”. 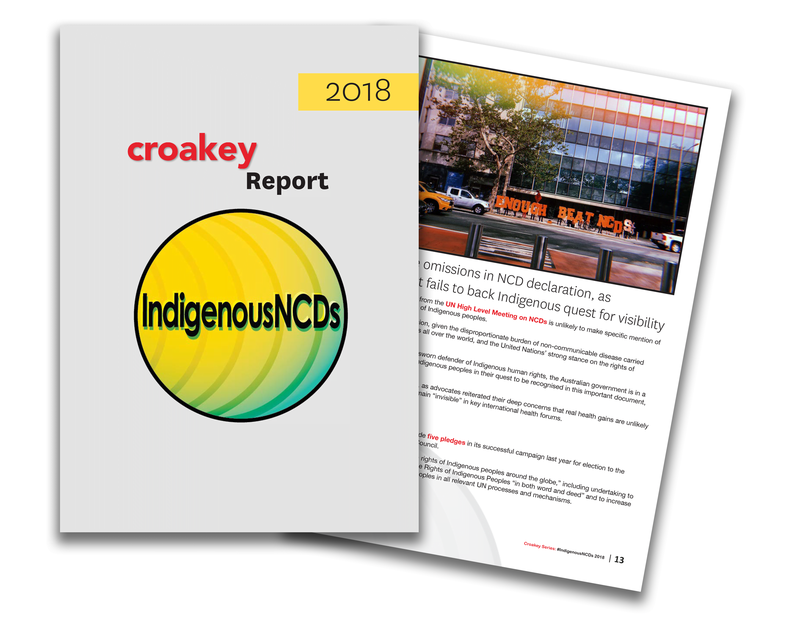 • Indigenous Allied Health Australia recommends Croakey readers check the Cultural responsiveness in Action: An IAHA Framework. 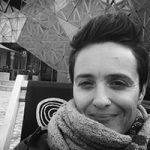 Meanwhile, researcher Elissa Elvidge, who is developing a cultural safety and security framework for NSW hospitals as part of her PhD, was guest tweeting for @WePublicHealth last week and shared many useful references and insights for health services and organisations wanting to address their cultural safety gaps. 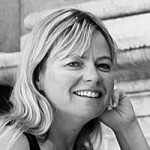 It’s well worth checking her tweets, if you missed them (a sample can be found here). The Australian Indigenous Doctors’ Association (AIDA) is the nation’s professional association for Aboriginal and Torres Strait Islander doctors and medical students, and advocates for improvements in Indigenous health in Australia. We are working towards improving the health of Aboriginal and Torres Strait Islander people and reaching parity of Indigenous health professionals across the entire health sector. We also seek to create a health system that is culturally safe, high quality, reflective of need, and respects and integrates Aboriginal and Torres Strait Islander cultural values. AIDA strongly believes that primary health care plays a critical and integral role in Aboriginal and Torres Strait Islander health. It is therefore vital that places where primary health care is delivered are able to do so in ways that are culturally safe. It is well known that Aboriginal and Torres Strait Islander people are more likely to access, and will experience better outcomes from services that are culturally safe places. Practical ways to deliver culturally safe heath care include asking patients if they identify as Aboriginal and/or Torres Strait Islander; having well-trained staff to provide culturally appropriate service, medical care, treatment and ongoing management; and having culturally appropriate primary sources of information on relevant health matters. Aboriginal and Torres Strait Islander health professionals play an important role in improving health outcomes, given their unique ability to align clinical and socio-cultural skills to improve access to services and provide culturally appropriate care for Aboriginal and Torres Strait Islander people. 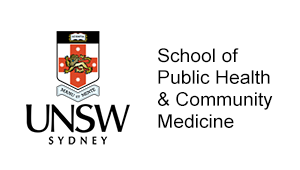 This has been demonstrated within the medical profession, where Indigenous doctors have contributed to improved health outcomes for Aboriginal and Torres Strait Islander patients by providing clinically competent medicine in a culturally safe way. This reinforces the importance of supporting Aboriginal and Torres Strait Islander people to become health professionals as well as supporting existing health professionals to retain the current health workforce. It is also important that members of the non-Indigenous mainstream health workforce to play their part in delivering equitable services for Aboriginal and Torres Strait Islander people. This is clearly evidenced by statistics from the Aboriginal and Torres Strait Islander Health Performance Framework (HPF 2014) which reports that Aboriginal and Torres Strait Islander peoples had lower rates of hospitalisations with a procedure recorded compared with non-Indigenous Australians, and they also had lower rates of elective surgery. Further, the HPF 2014 reported discharge from hospital against medical advice was eight times the rate for Indigenous Australians compared with non-Indigenous Australians. In mainstream health care, there is often a low degree of experience in working with Aboriginal and Torres Strait Islander people, limited cultural competency and clinical focus is often on specific health conditions rather than on comprehensive care. Indigenous Allied Health Australia (IAHA), a national not for profit, member based Aboriginal and Torres Strait Islander allied health organisation, stands against all forms of racism and racial discrimination. With the current controversy surrounding the care of Gurrumul Yunupingu, it is timely to acknowledge the harmful effects of racism on Aboriginal and Torres Strait Islander people and examine how it can be eliminated. Health is a fundamental human right and every human being is entitled to the enjoyment of the highest attainable standard of health conducive to living a life in dignity. Racism and subsequent racial discrimination can impede the achievement of this right for Aboriginal and Torres Strait Islander people. All Aboriginal and Torres Strait Islander people have the right to access culturally safe and responsive healthcare that is free of racism. In line with the statement by the Australian Indigenous Doctors Association, IAHA asserts that health professionals must be both clinically competent and culturally safe and responsive in order to positively affect the health and wellbeing of Aboriginal and Torres Strait Islander peoples. Cultural responsiveness is a strengths based, action oriented approach to building cultural safety, and being culturally responsive places the onus back onto the health professional to appropriately respond to the unique attributes of the person, family or community with whom they are working. Self-reflection and reducing power differences are central to being culturally responsive; therefore making assumptions based on generalisations or stereotypes about a person’s ethnic, cultural or social group is a barrier to cultural safety. IAHA encourages individuals and organisations to explore Cultural responsiveness in Action: An IAHA Framework, which highlights ways of KNOWING, BEING and DOING that can strengthen the capabilities required to be culturally responsive. This framework provides a practical guide to improve cultural capabilities that are essential for successful partnerships with Aboriginal and Torres Strait Islander peoples. Please visit www.iaha.com.au for more information. Publicity over the treatment of Gurrumul Yunupingu turns the spot light on one of the more disturbing aspects of the failure of the Australia health system to close the gap in health outcomes which leave Indigenous Australians at such a disadvantage. Whatever the reasons for Gurrumul’s case hitting the headlines, it raises the question once more about how many Indigenous Australian health consumers there are who fail to get the care they seek and whose cases we don’t hear about. To what extent does the failure to close the gap result not merely from a lack of physical resources but also from a two-class health system which in attitude and practice discriminates against Indigenous Australians? The Gurrumul experience should be considered in the light of the Australian Charter of Health Care Rights published by the Australian Commission of Safety and Quality in Health Care. What is striking is that many of the seven tenets of the Charter may well apply in some way to the Gurrumul case. The first point of the charter declares: I have a right to services to address my health care needs. Comment or complain about my care and have my concerns properly dealt with. These are principles which should be guiding lights for all Australians, consumers and clinicians. The experience of Gurrumul Yunupingu demonstrates the importance of keeping to these principles. 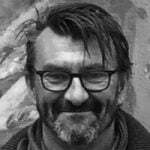 • Mark Metherell is communications director for the Consumers Health Forum of Australia. Q: What did you take away from this story and the lessons for the health system in general and hospitals in particular? 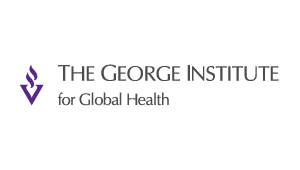 If we’re going to make any progress in closing the gap in Indigenous health outcomes, we’re going to have to start addressing the gap that currently exists between the policies and procedures institutions put in place around cultural safety, and their practices and the lived experiences of Indigenous people in our hospitals and health services. People present at hospital at their most vulnerable, even more markedly so for Indigenous people, and everyone deserves to be treated with the best of care and respect. While this is a shared goal of all who work in our hospitals and health services, racism is not only what can be seen, heard or measured – it’s also about experience and perceptions. 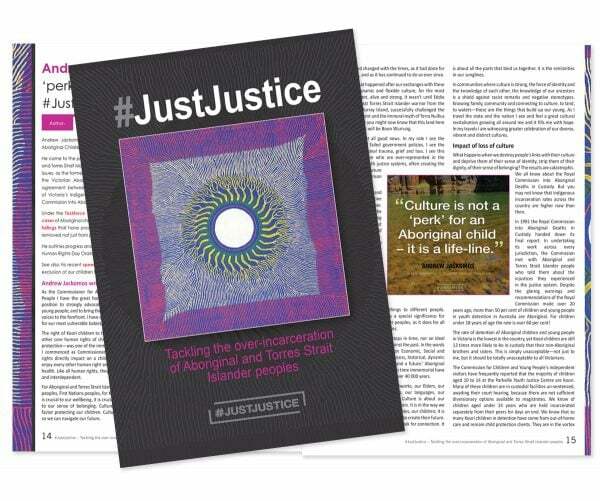 It is incumbent on all Australians and all institutions to reflect on our practices and the impact of our attitudes, behaviours and judgements about Aboriginal Australians. Q: What is your assessment of current gaps and opportunities around cultural safety in hospital practices, governance etc? Work being done by the Australian Commission on Safety and Quality in Health Care, by accreditation bodies, and by hospitals themselves, is making an important contribution to improving cultural safety in health care. Importantly, the work being undertaken by scholars including Elissa Elvidge, Dr Mark Lock, Henrietta and Adrian Marrie and others is identifying critical gaps in institutional governance, policy and decision making processes, and proposing ways to address these gaps. Likewise, the leadership of organisations such as NACCHO, the Lowitja Institute and the Close the Gap Campaign in developing the understanding of cultural safety more broadly across the health system is making a real difference. But there is still so much more to be done, and every part of the health system needs to be engaged in understanding the gaps and working towards solutions. The recent hospital experience of acclaimed Indigenous singer Gurrumul Yunupingu has shone a spotlight on the ongoing challenges faced by Aboriginal and Torres Strait Islander people when accessing health care. The treatment of Mr Yunupingu was not isolated to the hospital but rather spilled out in to the media with commentary coming in from across the country. The Federal Minister for Indigenous Affairs, Nigel Scullion, has stated he wishes to see a full report into the treatment received by Mr Yunupingu at the Royal Darwin Hospital. The Public Health Association of Australia (PHAA) supports Minister Scullion’s call for an inquiry into the events which have occurred and request this review is done in a transparent way. It is essential that any recommendations made are available to the community to ensure appropriate implementation and accountability of those involved. The PHAA is the principal non-government organisation for public health in Australia working towards health and wellbeing for all Australians. PHAA works to achieve population health outcomes through prevention and addressing the social determinants of health. Key to these outcomes is equity. In the meantime, debate has continued across traditional and social media about racial profiling and discrimination. These discussions highlight a significant gap in current health care systems and broader community understandings and acceptance of Aboriginal and Torres Strait Islander people and culture. These gaps are clearly evident in Reconciliation Australia’s latest Australian Reconciliation Barometer released in 2015. While 86% of the non-Indigenous population believe the relationship between Aboriginal and Torres Strait people and the broader community is important, only 26% of non-Indigenous people think that trust is high for Aboriginal and Torres Strait Islander people. When looking at discrimination specifically, nearly half of all non-Indigenous people feel that prejudice in Australia is high (45%) compared to 62% of Aboriginal and Torres Strait Islander people. 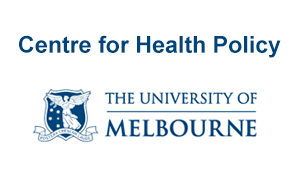 A survey conducted in Victoria further examined rates of discrimination with 29% of respondents having experienced racism in a health setting. Looking at these figures and the experience of Mr Yunupingu there are several areas which can be immediately highlighted for improvement. Firstly, as discussed by the Northern Territory Aboriginal health worker of the year Sarah Bukulatjpi, there is a need to increase the number of Aboriginal health workers in all hospitals and health care settings across Australia. These positions should be supported and recognised for the immense value they provide to multidisciplinary teams and the broader health care system. Secondly there is a need for further cultural safety training of medical staff regarding appropriate health care. The work of the Australian Indigenous Doctors’ Association (AIDA) provides a strong framework for this to occur. 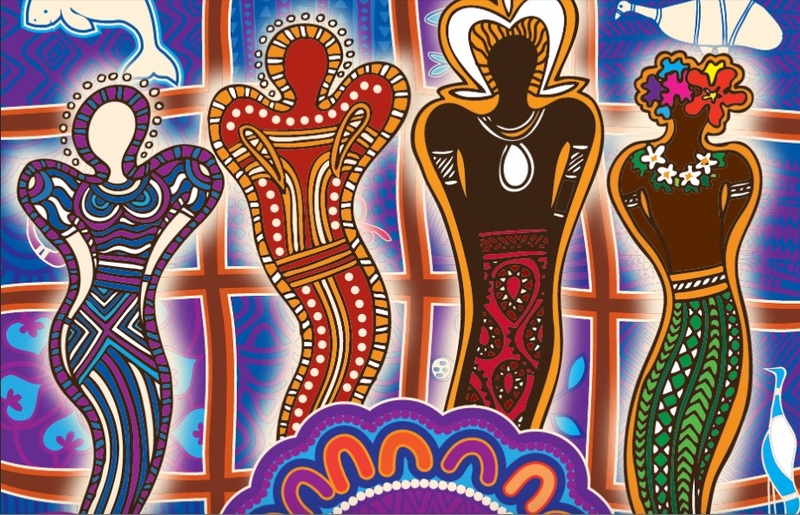 As highlighted in the AIDA cultural safety fact sheet, Aboriginal and Torres Strait Islander people are more likely to experience and therefore continue to access health services and professionals who are respectful and safe. Racism and discrimination have significant physical and mental health impacts on individuals and influence help seeking and health care outcomes. Access to acceptable and culturally appropriate health care is a basic human right, as set out by the World Health Organization. Mr Yunupingu himself said it best himself when he sang “united we stand, divided we fall, together we’ll stand in solidarity”. We must stand together in order to close the gap for Aboriginal and Torres Strait Islander people and ensure the highest level of health care for all Australians. The Australian Commission on Safety and Quality in Health Care (the Commission) is responsible for developing and administering the National Safety and Quality Health Service (NSQHS) Standards. The primary aims of the standards are to protect the public from harm and improve the quality of health service provision. Currently the Commission is reviewing the standards to ensure, among other things, that they reflect the latest evidence on best practice. As part of this review the Commission has investigated how the NSQHS Standards could be used to leverage improvements for Aboriginal and Torres Strait Islander people using mainstream health services. This work included a national consultation process, literature review and survey to identify gaps in safety and quality for Aboriginal and Torres Strait Islander consumers within the current version of the NSQHS Standards. health services routinely ask consumers if they identify as an Aboriginal and/or Torres Strait Islander and record this information in the administrative and clinical information systems. The Commission found a further 60 areas where a focus on safety and quality issues has the potential to improve the experience and outcomes of care for Aboriginal and Torres Strait Islander consumers in mainstream health services. These improvement strategies will become mandatory for all hospitals with the introduction of version 2 of the NSQHS Standards. I have just returned from a wonderful event called the Gathering of Kindness which featured on ABC national radio tonight at 6.00pm. 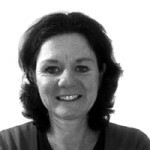 Well worth a listen about kindness (or lack of) in the health system. It is hosted by Rachel Conn. So what struck me about this story were a number of things. It was sad to see the lines of defence drawn between the health system (Minister and hospital management) and the patient and his carers. What has happened to get to this point? It would appear that there has been a serious issue of poor communication. It is difficult to know what caused this poor communication, but we do see it elsewhere in the health system and many of our stories on Patient Opinion are about a lack of communication, and the patient not being listened to. There may be lots of rational reasons for this (eg. staff being busy), but there never is an excuse for not listening. What are the lessons? More needs to be done about how we communicate within hospitals. And it is not just communication between staff and patients, but communication between staff themselves. At the heart of this communication should be kindness. We have heard a lot in the press lately about bullying in the health system.It is one of the reasons why the Gathering of Kindness was held in Victoria last week, to address these issues but also to look at how our health system could do better. How can we build a better health system that has at its core kindness and respect? Cultural safety in our health system is something that we have much more work to do. Here’s an interesting story posted on Patient Opinion that highlights this issue. https://www.patientopinion.org.au/opinions/61746 Unfortunately, we never received a response from the hospital. This has much to say about how hospitals want the public to give them feedback, that is, on their terms and through their feedback channels. That is why Patient Opinion was developed…to meet the public on their terms so that they could feel safe in telling their story and hopefully seeing that it was heard and that it made a difference. And much more needs to be done on training our health system staff in cultural safety. We would all benefit from this, not only those on the receiving end of care, but those who provide the care. It’s not about us-and-them. It’s about working together in a way that empowers both patients and staff. Staff can learn so much from patients, about resilience and compassion, and what it’s like living with a health-related condition. Obviously patients can learn much too, including how to better manage their health-related condition. We have to acknowledge that both staff and patients (and their carers) are experts in the health system. Q: Would you encourage Gurrumul or his family/carers etc to register their story with Patient Opinion? Do many Aboriginal patients do this? Is your service culturally safe and engaging for Aboriginal and Torres Strait Islander people? We would welcome Aboriginal and Torres Strait Islander people to tell their story on Patient Opinion (www.patientopinion.org.au) Already, we have about 60 stories from their experiences across a range of health services in Australia. You can see the stories here. https://www.patientopinion.org.au/opinions/61746 Even though we are gathering quite a few stories, much more can be done. You have prompted us to think more about how our not-for-profit site can be more culturally appropriate. We hope to have that up on the website very soon. By telling your story on Patient Opinion it is important to understand that you will remain anonymous. It’s also important to know that you will be heard, even if the health service does not respond. Not only will the general public be viewing your story, but we have a number of watchers on our site (such as politicians and health regulation bodies) that are automatically emailed your story. It’s important that we capture the stories from Aboriginal and Torres Strait Islander people because it’s their stories that will help us understand how we can better improve our health system, particularly in how we deliver our care in a safe, kind and culturally-sensitive way. 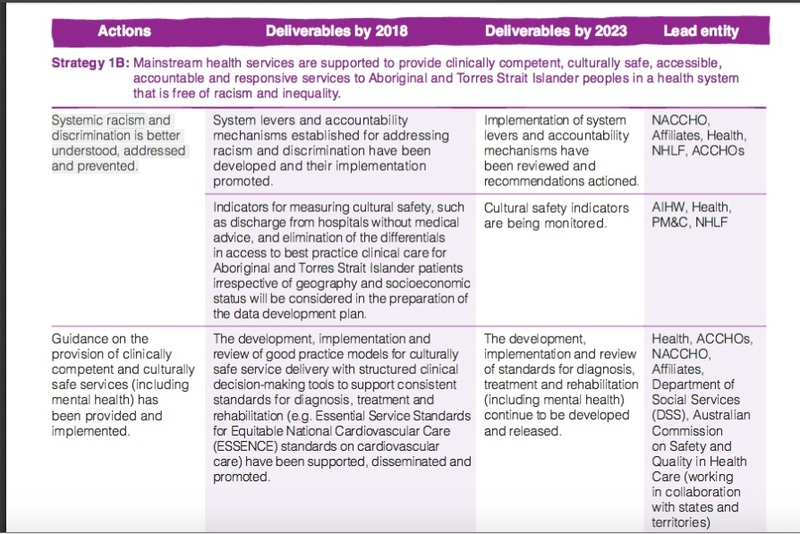 The table below is from the Implementation Plan for the National Aboriginal and Torres Strait Islander Health Plan.